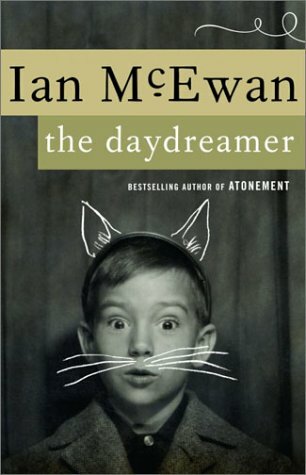 After finishing each of the seven vignettes of which this book his comprised, Ian McEwan would read each one aloud to his children. The responses he garnered from them helped shape the stories even further. It is the balance of kid understanding and adult know-how that make these stories about young Peter Fortune so remarkable. Peter (age 9-12 throughout the stories) is quick and clever, with an imagination to rival Christopher Robin's, one that benefits both from youthful innocence and from McEwan's experience as an adult. Written to be read allowed, The Daydreamer contains a whimiscal practicality that takes Peter out of his own body more than once, but also returns him in time for supper. As children's stories should, there are some moral lessons (to do with friendship and fairness), but with a hint of adult regret, perhaps for a childhood that flew by too fast. There's even, in the story where Peter trades bodies with his cat, a lesson about death and loss that applies to all ages. Altogether a sweet collection, it lacks the naturalistic twist that you often find in McEwan, but that does not take away from its appeal or its charm. I love McEwan! I haven't read this yet though.